With the UN Paris climate talks less than one week away, IRENA (International Renewable Energy Agency) highlights the central role renewable energy and energy efficiency must play in any effort to reduce greenhouse gas (GHG) emissions. Achieving a 36 percent global renewable energy goal by 2030 would yield half the GHG reductions necessary to limit climate warming to the 2ºC (3.6ºF) determined by climate scientists to be a global tipping point. Energy efficiency programs would take us the rest of the way, IRENA highlights in a news release. IRENA director-general Adnan Z. Amin highlighted the pivotal role of energy sector businesses in reaching the 36 percent by 2030 global renewable energy goal. “The energy sector accounts for more than two-thirds of global greenhouse gas emissions, and therefore must be the focus of climate action,” he was quoted as saying. IRENA emphasized the magnitude of the challenge associated with making a global transition from fossil fuels to higher energy efficiency and renewable energy. Renewable energy generation capacity would need to increase six-fold from current levels in order to achieve the 36 percent by 2030 goal, according to the ¨REthinking Energy 2015¨ report. That, in turn, would require annual global renewable energy investment nearly double to exceed $500 billion from today to 2020 and nearly triple to exceed $900 billion from 2021-2030, according to IRENA. Besides being a major contributor to climate change mitigation and adaptation initiatives, realizing the 36 percent by 2030 renewable energy goal would contribute substantially to 12 of the 17 UN Sustainable Development Goals (SDGs), IRENA said. 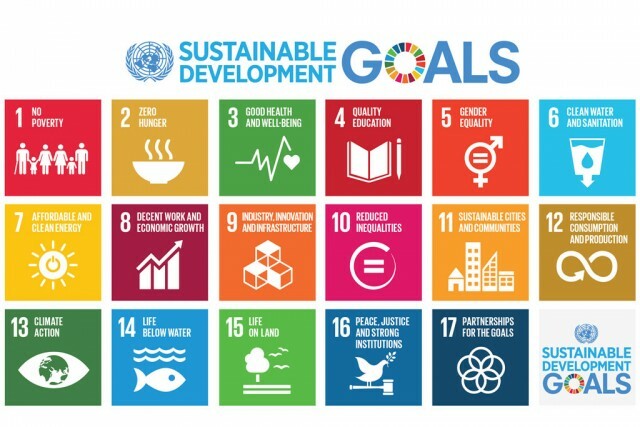 The successor to the Millennium Development Goals (MDGs), the UN General Assembly adopted the 2030 Agenda for Sustainable Development at its annual opening meeting this past September. The Agenda for Sustainable Development sets the strategic course for the 193-member UN community of nations for the next fifteen years. Secretary-General Ban Ki-moon called the SDG Agenda ¨a universal, integrated and transformative vision for a better world. “The new agenda is a promise by leaders to all people everywhere. It is an agenda for people, to end poverty in all its forms – an agenda for the planet, our common home,” Ban stated upon opening the UN Sustainable Development Summit. Burning of fossil fuels at an alarming rate to fulfill the global energy needs is the prime reason of global climate change. Climate change can be mitigated by sustainable practices, such as innovation of clean energy technology. Implementation of renewable sources of energy which is clean and sustainable is the real solution for climate change. Climate change can be reduced by the renewable sources of energy such as solar energy, wind energy, geothermal energy, bioenergy, and hydropower energy. The most important part to deal with climate change is to act now in present in order to sustain the future generation and for the sustainable future of mother earth.